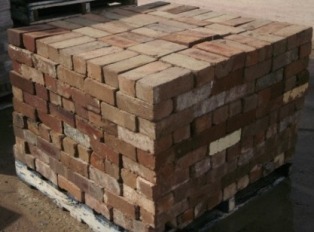 Recycled Building Supplies offers a free Recycled/ Second hand Brick matching service. Typically we can match recycled bricks to homes built before the 1950’s due to the fact that the majority of homes built after this period have the bricks concreted in and so bricks after the 1950s are generally not recycleable. The best way for us to provide a good brick match is to work off actual samples of your existing bricks. If you have several loose bricks on hand, bring them to Recycled Building Supplies and our experienced staff will match them for you. A second option is to take photos with a digital camera. In order for a successful photo of your bricks, please provide us with a photo of approximately one square metre of the brick wall and a second close-up image showing just three or four bricks in the photo. Taking the photographs at different times during the day will give a better brick match due to the impact of overcast days or glare off the bricks which can affect the matching of your bricks.